It’s called the most Instagrammable space ever. 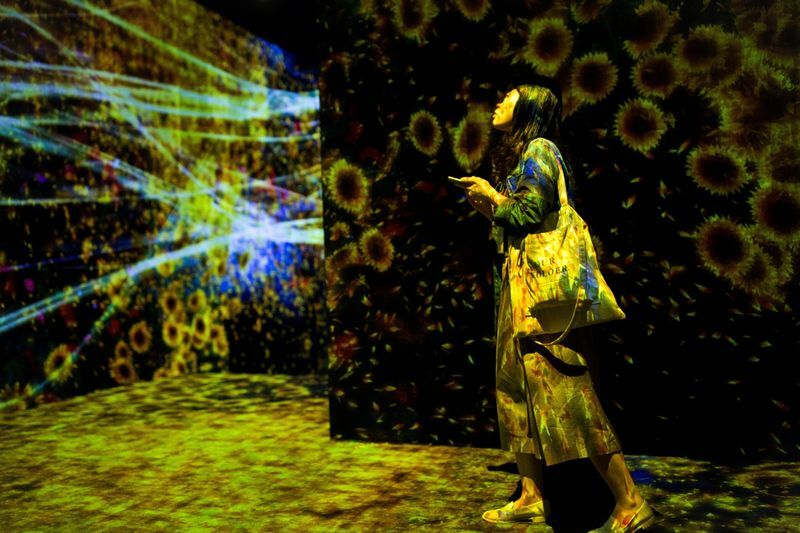 Trust Tokyo to create the world’s first digital museum that’s guaranteed to amaze people from different walks of life, whether they have an Instagram account or not. There are “no guide maps, no rules” here, all you have to do is follow your feels. The “art” in this museum is not your typical glass encased treasures or paintings hung on the walls. 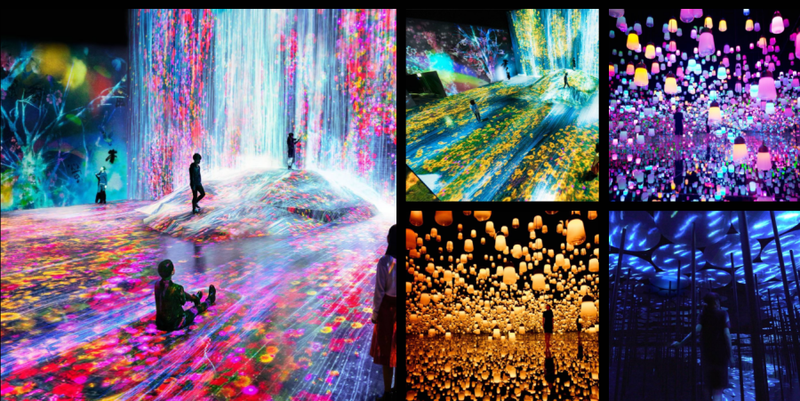 At the MORI Building Digital Art Museum in Tokyo, a collaboration between the developer and art collective TeamLab, light, space, graphic projections, and colorful installations take center stage as the art that fill up the whole building. 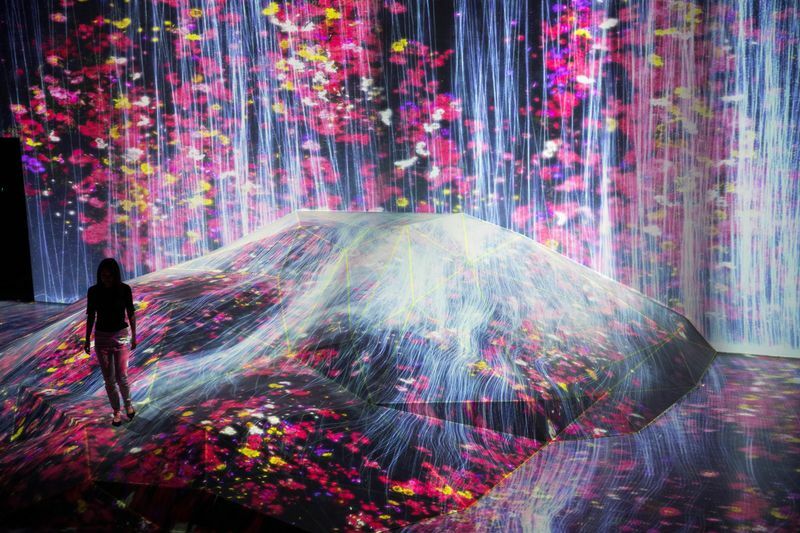 About 50 kaleidoscopic installations that are triggered by motion sensors and projected across every surface of the 100,000-square-foot exhibit space. 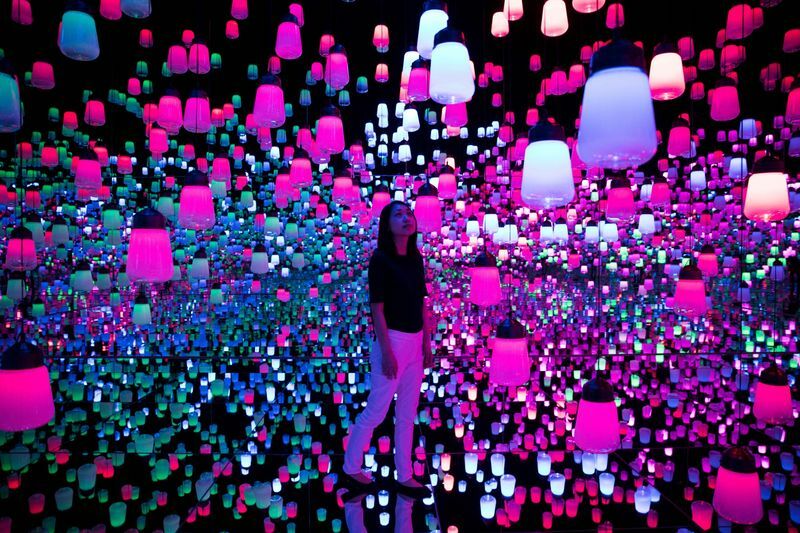 This room is called “Forest of Lamps,” where hundreds of lamps hang at different heights over a mirrored floor. The “Waterfall room” will have you chasing a light show that mimics the movement of water falls. If you want to get in on the creative action that goes on in this room, you can draw marine animals with crayons on pieces of paper, then lay them down on a scanner. The drawings will start swimming in the ocean alongside the other sea life drawings. 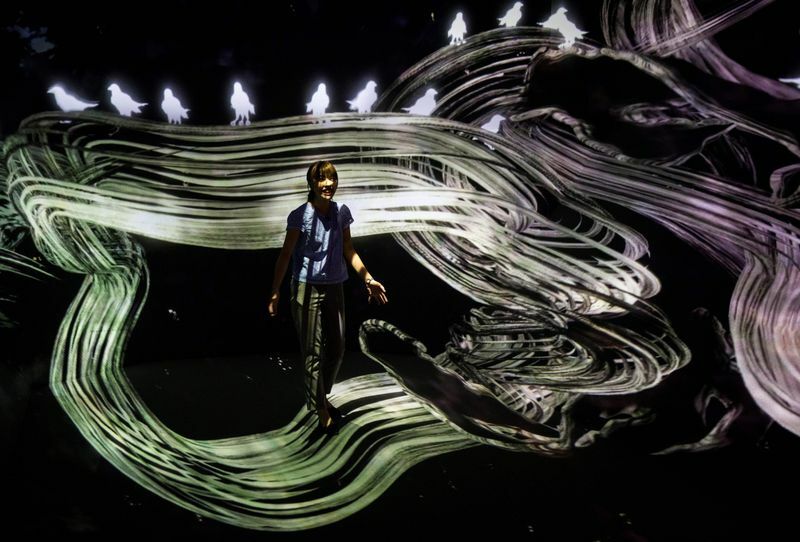 Get lost in your own world in this hypnotizing light display. The MORI Building Digital Art Museum is located at Odaiba Palette town on the Rinkai line and the Yurikamome tram line. Tickets are 3,200 yen ($29) for adults and 1,000 yen ($9) for children. 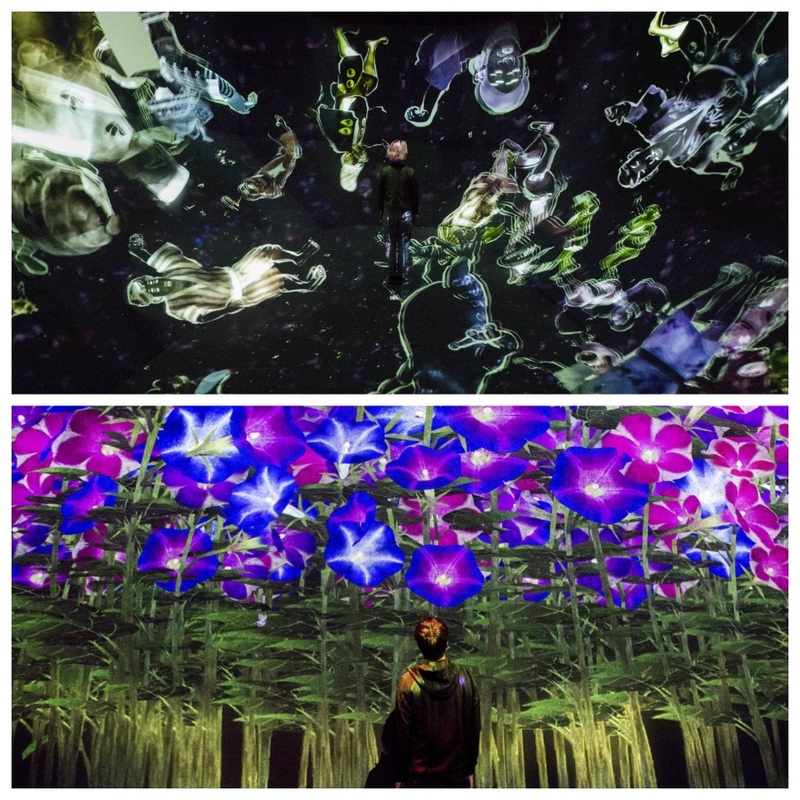 For more information, click https://borderless.teamlab.art/.